Back when I was in elementary school, I remember how I prefer to answer essay-type exams. They were not easy but I liked that I’ll never get ZERO for sharing my own opinion. There is no wrong opinion, right? Well, guess what. We are already in the future of the past. We both have two kids, we kept our bond closer, and we now hang out together with our kids. BUT she is yet to finish college. That means she hasn’t read my letter yet and it is still kept inside my closet. YEP, FOR REAL! Geeeeeez I guess I have to remind her about that. Haha. Now, with the rise of advanced technology, my writing has gone digital as well. Today, I’ve been writing online for more than 5 years now. Before I started blogging, I used to write online notes. Then I began to blog in 2010 when I had my daughter. Having my first baby was such a huge celebration that I cannot afford not to write about. Then in 2013, my son was born with medical conditions. It was a very difficult road but writing helped me get through those painful days. 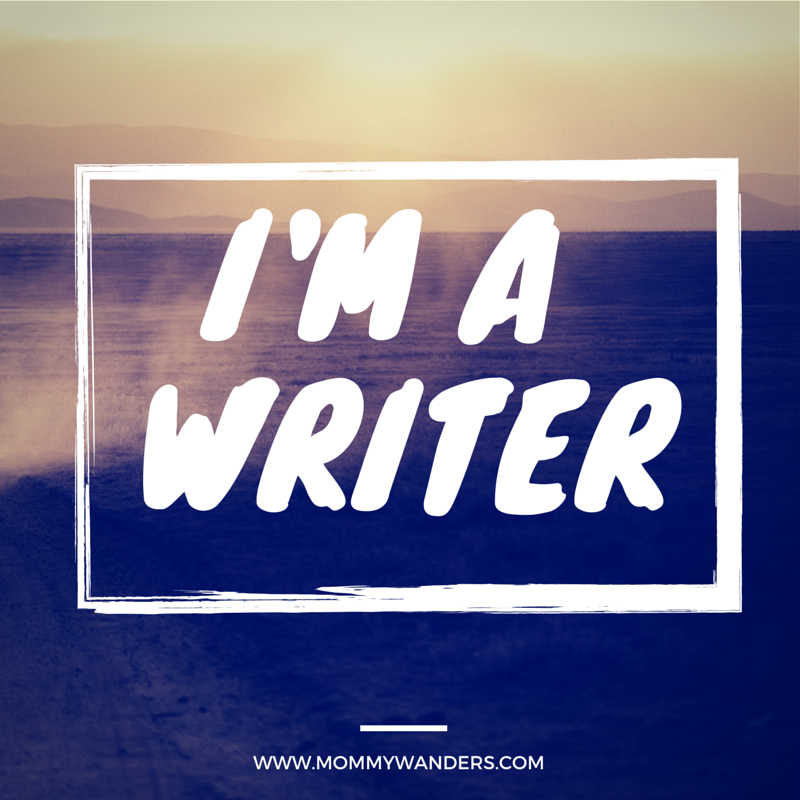 Through celebrations and crisis, writing has been my best friend. Today, I am still writing. Sometimes, I write for my blog, but mostly, I write on paper for myself. Tomorrow, I know I will still write. At this time, I wrote a short poem. 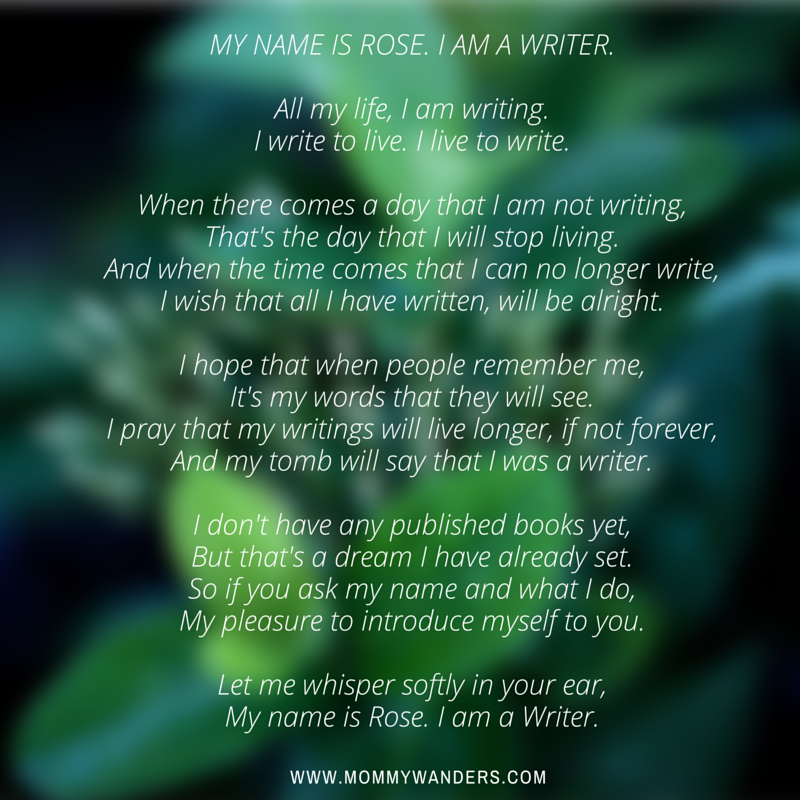 I wrote that I AM A WRITER. All my life, I am writing. I write to live. I live to write. That’s the day that I will stop living. I wish that all I have written, will be alright. It’s my words that they will see. And my tomb will say that I was a writer. But that’s a dream I have already set. My pleasure to introduce myself to you. This post is inspired by this cool guy, a real writer, Jeff Goins. <—Check out his video. Aw. Kacute ani oy. 🙂 I never did consider myself as a writer even if I've been writing on journals, and on my blog half of my life. Lol just kidding. I've been blogging for 5 years now naman pud. Bisag way klaro akong english, as long as it makes me happy and fulfilled. This is a good read, Rose! 🙂 Keep inspiring people. (slow clap with admiration) Wow! Amazing jud kaayo Rose! Ikaw na ang WRITER! I had fun reading it jud and I learned something about writing as a passion! 🙂 Keep it up! Hi Rose! I found another mommy blog. Hehe. Kaaliw 🙂 You're indeed a writer! God bless!